Laurence Leamer has written several books, including six New York Times bestsellers and an off-Broadway play. 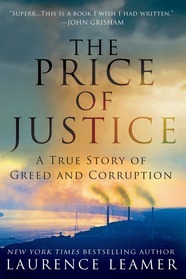 Laurence Leamer’s award-winning books include The Kennedy Women, The Price of Justice, the Edgar-nominated The Lynching, and his newest, the heavily anticipated Mar-a-Lago: Inside the Gates of Power at Donald Trump’s Presidential Palace. Over the past twenty years, Leamer has been an in demand speaker in major venues and luxury cruises. Leamer has taught in a mountain school in Nepal in the Peace Corps, as well as worked in a factory in France and a coal mine in West Virginia. 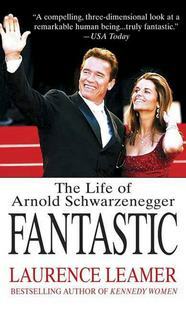 He lives in Palm Beach, Florida, and Washington, D.C, with his wife, Vesna. In Fantastic, Leamer shows how and why this man of willful ambition and limitless drive achieved his unprecedented accomplishments. People featured Mar-a-Lago in their article on how Mar-a-Lago shaped President Trump. Laurence Leamer’s Mar-a-Lago was featured on Late Night with Seth Meyers. Watch Laurence Leamer’s give a book talk for The Lynching. Read The Palm Beach Post‘s review on Mar-a-Lago. Politico runs a detailed excerpt of Leamer’s new book Mar-a-Lago. Vanity Fair writer Laurence Leamer explores Donald Trump’s story with Mar-a-Lago. The New York Times featured an article on Donald Trump’s return to Florida, mentioning Laurence Leamer’s book Mar-a-Lago. Read The NY Daily News‘s review on Leamer’s Mar-a-Lago. Mar-a-Lago is featured in an article by The Daily Mail. The NY Post featured Laurence Leamer and his details on Donald Trump’s rise in status. Laurence Leamer writes what New Year’s Eve in Mar-a-Lago is like without Donald Trump since the start of his presidency. 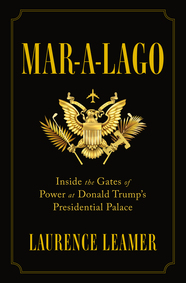 In preparation for his new book, Laurence Leamer writes about Donald Trump’s experience in Mar-a-Lago. Laurence Leamer reveals what the secret history of Christmas is on Mar-a-Lago in his Vanity Fair article.